In rural India most of the surgical patients become impoverished due to surgical treatment pushing several families below poverty line. We describe the various methods that we tried to help these patients pay for the surgical procedures without becoming impoverished. Some of them were successful and many of them were not so successful. The large turnover and innovative methods helped the mission hospitals to serve the poor and the marginalized. Some of these methods might not be relevant in areas other than Northeast India while many could be used in other areas. In rural India, 40% of surgical patients have to borrow money or sell their assets to have treatment, and three-fourths of them are impoverished by it. The WHO estimates that 11% of the global disease could be treated with surgical procedures. We describe the ways that we tried for financing surgical procedures for patients in rural India. The insurance plan that we had was simple. We will charge a nominal enrollment fee of INR 1000 and give our services free, but charge for everything else and the hospital could be managed with the profits from the well-run pharmacy. This meant recording and charging for every single item used at the hospital including spirit, cotton, soap, electricity, and so on, and again we noticed that only the surgical patients were enrolling. This greatly increased our turnover of surgical patients. There was sufficient profit from the sale of surgical disposables and medicines that the overall profit of the hospital significantly increased. The insurance plan was then extended to the diagnostic camp sites. Patients who needed surgical procedures did enroll by paying the money to the local shop keepers or the organizers who enrolled patients. During the 1 st year, about 5000 surgical patients enrolled in the program and benefited. 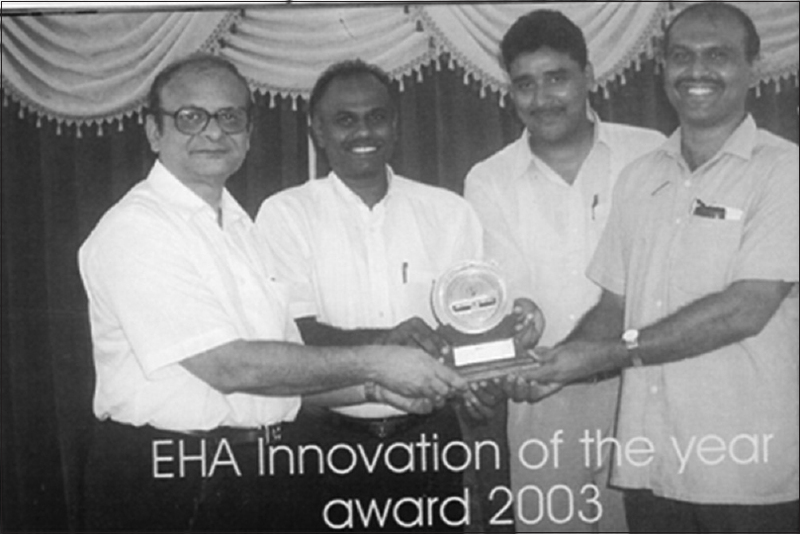 The Emmanuel Hospital Association gave the Innovation award for the health insurance program [Figure 1]. Few other hospitals adopted similar insurance programs. Since every item was billed, the staff understood the value of each item and the wastage was much less. Payment in installment benefits patients who require emergency admission, especially for surgery. For accounting purposes, these were written off as concessions and when they return the money, they were entered as donations from patients. The money returned as donation varied from 8% to 93% in some Christian Tribal Communities. The socioeconomically poorer community had greater percentage of returning the money while the so-called high caste community had <30%. In deferred payment mode, most of the investigations that are necessary were carried out during the diagnostic camps. They then paid for the insurance program and when they came for surgical procedures, paid only for the medicines and disposables used. 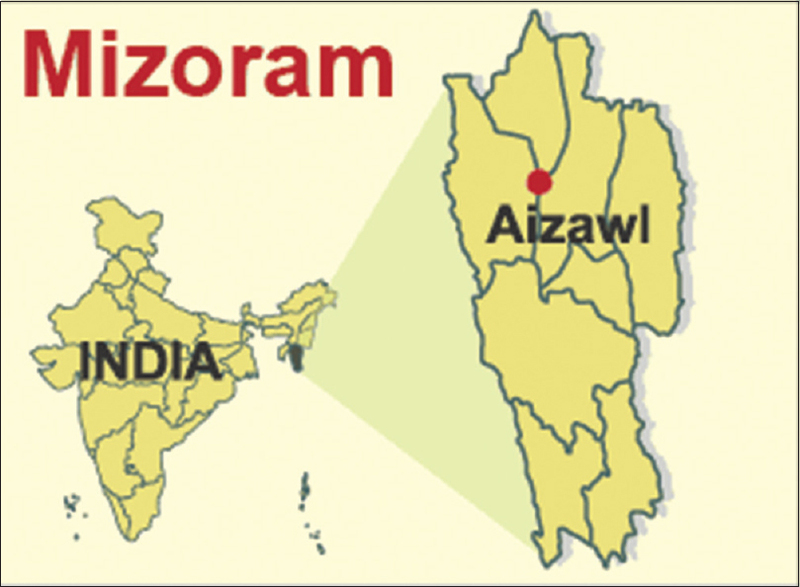 This program is unique to Mizoram [Figure 2]. The diagnostic camps here were organized by the local Churches or Young Mizo Association (Kristian Thalai Pawl [KTP]) [Figure 3]. Whenever there was a poor patient in the community needing elective surgery, the Church or KTP gave them a piglet costing INR 800. The family raised the piglet that was earmarked for payment for the surgery and they sold the pig either to the Church or to others often at higher than market price and came to the hospital [Figure 4]. The mission hospital in addition to being a busy surgical center (5000 surgeries a year) had a school of nursing (20 students per batch). The poor patients paid in kind by giving piglets. The hospital started a piggery with those piglets and requested the patients' relatives to look after it. The piggery provided subsidized meat to patients and staff. It turned out to be a profitable venture. A committee consisting of patients' relatives decided by which the patients admitted in the hospital would get the grants from the profits of the piggery. We found that the compliance of patients taking long-term medication was poor in the villages. The diabetics, hypertensives, and tuberculosis (TB) patients were the main offenders. They did not have the time or money to regularly come to the hospital. With the help of donations from well-wishers, we started a program where we helped by opening savings accounts for these patients at the local village shops [Figure 5]. They could go and give small amounts or leave the change after they purchase their items, etc., at the local shop where they had the account, and the medicines were delivered to the shops packed for the patients by the community health team. We were surprised that when the patients did this, they were able to save more money than what was necessary for the medicines. We extended the project to include patients requiring surgical procedures who opened these savings accounts and deposited money whenever they had them. Visitors added more money into these patients' accounts as donation. The probabilistic treatment planning (PTP) or person-to-person program is a very popular one in Christian Medical College, Vellore, where friends of Vellore in abroad paid the hospital bills of patients enrolled in the PTP plan. This was started several decades ago with the view to help the postgraduate students to get the necessary training through general ward patients. The PRO department took care of taking the photographs of the patients and the necessary social history of the patient and sent them to the donors along with the medical history and the bills. Although several mission hospitals had successful parent churches and missions and had regular visitors for some reason or other, it did not turn out to be a very successful program. In many places, training in minimally invasive surgery has become very commercial and the charges are exorbitant. We wondered whether we could charge a little more than the actual costs involved to subsidize the treatment of poor patients in the rural areas. However, it did not turn out to be a successful one as those who are willing to go and work in rural areas could not afford to pay higher amounts. Although minimally invasive surgery is ideal for the rural population because they can get back to work quickly with less pain and morbidity, it is expensive because of the high costs of the initial equipment and also the disposables used during the minimally invasive surgeries. Many patients and their relatives come to the hospital from faraway places. Many of them are very talented. We had a room where they could do some useful craft and could earn a little during their stay at the hospital and keep themselves occupied [Figure 7]. 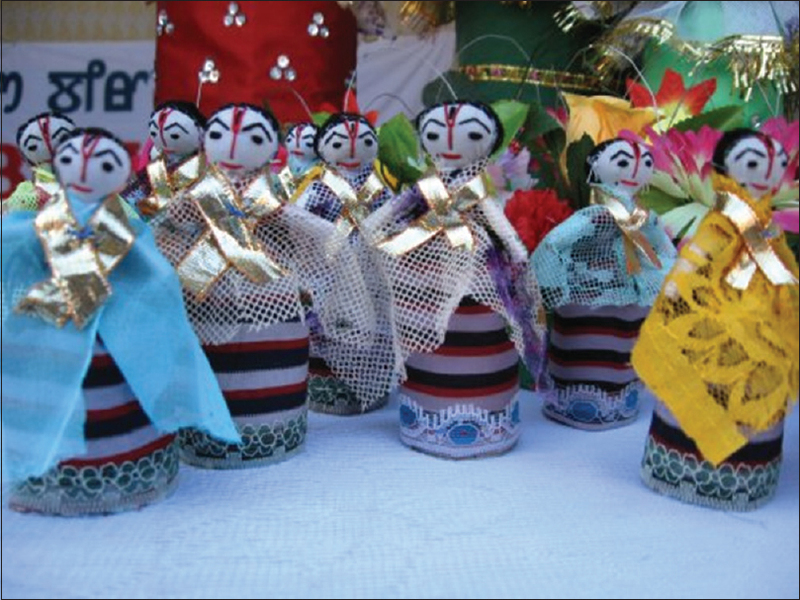 Some of them were so good that they used the old intravenous bottles, tubings, etc., to make wonderful handicrafts which were bought by visitors to the hospital. There are organizations such as the Missionary Upholders Trust (MUT) taking care of the medical expenses of missionaries enrolled with them. They charge a nominal fee of Rs. 10 per missionary per month and take care of the medical expenses of those who need them. Our master health checkups helped MUT to raise funds and also reduce the treatment cost of missionaries. 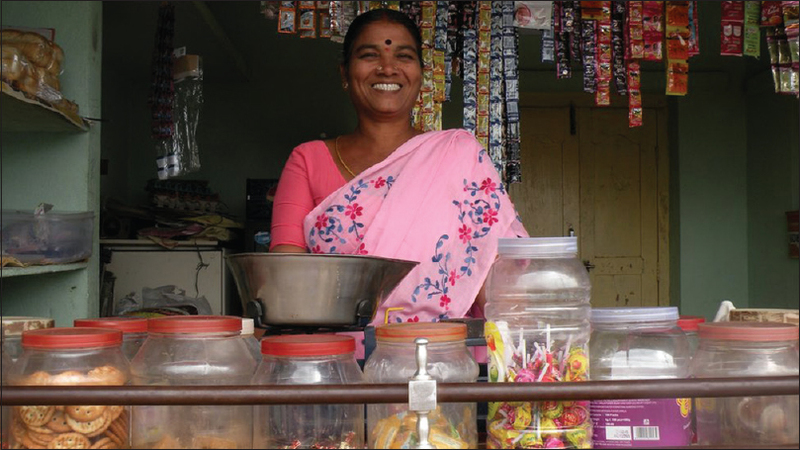 As a part of the community health program, we started several women's self-help groups to give interest-free loans to help the women earn some money in the villages. They were started with seed money of INR 3000 and the village women organized the activities themselves. They were very successful and expanded and started including loans to members for surgeries. This was an unexpected source of financing for the surgical patients that we discovered during the diagnostic camps. We had invited a local physician to help with translation during a diagnostic camp. When he realized that some of his patients needed surgical patients and did not have money upfront to pay for these procedures, he offered to pay the necessary money and that he would collect it from the patients later. We neither know how much they collected nor had any accounts for it as the hospital received the necessary money from the local physicians. It greatly improved the rapport of the local physician with his patients and they were sure about what happened at the surgical procedure and the necessary follow-up. We replicated the method during later diagnostic camps and found it a very successful model. We left a list of patients requiring surgical procedures with them and the approximate cost, and they sent them to the hospital with the necessary money or request for further concession. [Table 2] lists the percentage of billed amount that was returned by surgical patients. The figure was inferred from the accounts section of the annual report of these hospitals and does not have details like how many patients were benefitted from these programs. [Table 3] gives the details about the pigs and piglets. Pork is one of the staple diets in Northeast India and almost every house in Mizoram will have Pigs. The idea of giving piglets was given by the KTP or the Young Mizo Association. [Table 4] gives some details about the village shop accounts. This program was started when we did a study in some remote villages in Tripura with a visiting endocrinologist from Australia  and found many diabetics and did not know how to follow-up. The local shopkeepers were willing to help by bringing and stocking up the medicines that the patients need whenever they go to Agartala for purchase and they did start the accounts for their convenience. Since we found it as a good model, we implemented it in the villages that our mission hospital was working primarily for supplying the medicines to TB, diabetic, and hypertensive patients. In some of the villages, the local people started paying in installment for emergency surgical procedures. Later, they used these shops for paying for elective surgical procedures too. [Table 5] gives some details about the person-to-person program that was very successful at CMC Vellore. The response to this was very poor despite the fact that those who helped create the websites were from abroad and had good standing in their local Churches, and one of them was in charge of the missions work of the Church. [Table 6] gives information about the visitors. There were about 30 visiting doctors from about 8 countries and many of them brought in supplies that help mission hospitals. 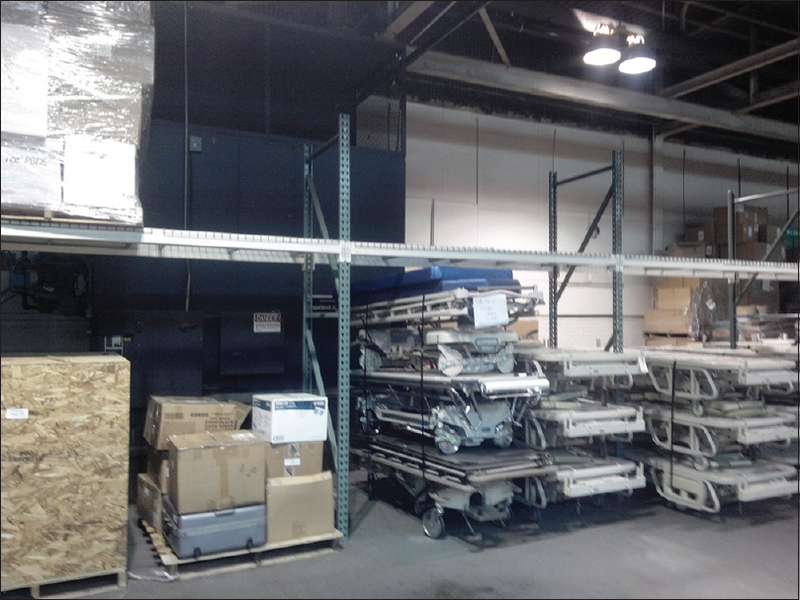 Organizations such as MedWish in Cleveland deal with donated medical supplies and they charge a minimal handling charge like one dollar per pound of supplies. The visitors can bring these along with their luggage. MedWish knows the type of supplies that we need and also the fact that they are used for treating poor patients as the visitors go back and give them the feedback. [Table 7] lists the attempts that we made to make the relative productivity. Only the larger projects such as pond deepening, building of hostels, and houses, etc., were useful to both and these were labor-intensive projects. If the hospital has good marketing facilities, the patients' relatives can make handicrafts but without marking facilities, we had to sell them at loss to shops. In another leprosy hospital, the patients and relatives were able to successfully cultivate the large land that the hospital had. However, with minimally invasive surgeries despite trying to arrange with a group of Churches to take care of cultivation of parts of the hospital land, the end result was not very encouraging. Innovative methods can help solve this difficult problem of financing the rural surgical patients. Of the various methods that we tried, the Health insurance program was the most successful one. However, it involved a lot of work in terms of billing for every small thing so that the hospital does not lose money. The large turnover made up for the small charge of Rs. 1000 for surgery. In addition, a very well-managed pharmacy using software for analysis and the high profit margins of surgical disposables help in making the hospital do surgeries profitably at much lower costs. The use of pigs and piglets to help surgical patients is relevant in Northeast India, but might not work in other areas. The use of the local village shop savings account and financing by family physician are worthwhile options for many to consider. Import of donated material and equipment through containers might help if several rural health-care facilities join together and do it. It is important for the local surgeon to visit the place at least once to choose the relevant usable items from these places and develop a good rapport with them. Gnanaraj J. Diagnostic and Surgical Camps: Cost Effective Way to Address Surgical Needs of the Poor and the Marginalized. MD Current India; January, 2014. Available from: . [Last cited on 2016 Jan 19]. Jesudian G, Rhodes M. Surgical work in medical missions. A study in remote areas of India. Christ J Glob Health 2014;1:42-7. Gnanaraj J, Jamir S. Enjoy Your Donations While Those in Need Benefit: The Surgical Services Initiative. MD Current India. Available from: . [Last accessed on 2016 Mar 22]. Gnanaraj J, Jason LY, Khiangte H. High quality surgical care at low cost: The diagnostic camp model of Burrows Memorial Christian Hospital (BMCH). Indian J Surg 2007;69:243-7. Lau SL, Debarm R, Thomas N, Asha HS, Vasan KS, Alex RG, et al. Healthcare planning in North-East India: A survey on diabetes awareness, risk factors and health attitudes in a rural community. J Assoc Physicians India 2009;57:305-9. Jesudian G. Working holidays for overseas doctors: Host perspective in mission hospitals in rural India. Christ J Glob Health 2015;2:35-42. Gnanaraj J. System Audit for Small Hospitals. Pharmacy. MD Current India; October, 2015. Available from: . [Last cited on 2016 Mar 05].